In May I had a pretty big creative list. 2 items did not get complete - sewing Santa Gift Bags (again) as when I sat down to make them I realized I need to buy materials for this project and making pillow shams to match a quilt I completed last month. I did complete a custom white cotton crochet bikini for a client but she took it before I remembered to take photos. I still have two more to make in June and I'll be sure to photograph them! 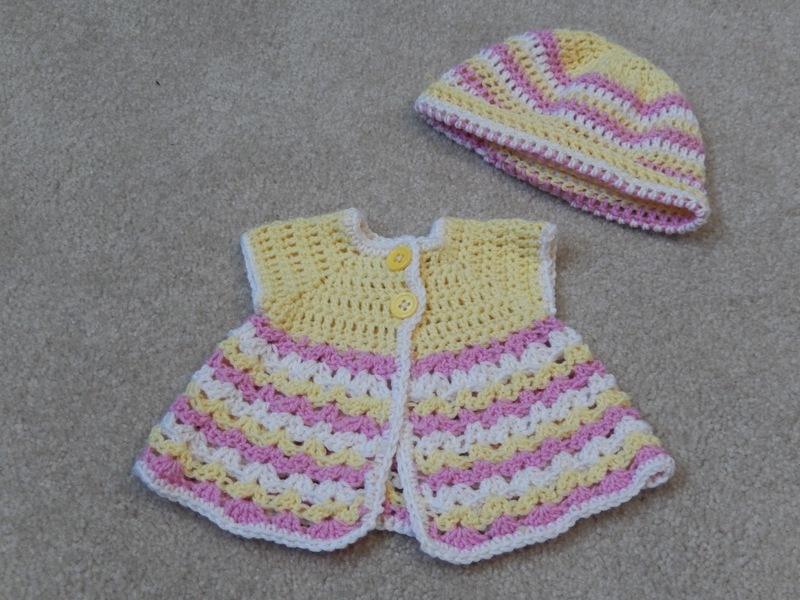 Crochet baby cardigan & hat set with alpaca yarn and list in my Etsy shop. Click the name of the item to be taken to the pattern I used. Quilt item and list in my Etsy shop. 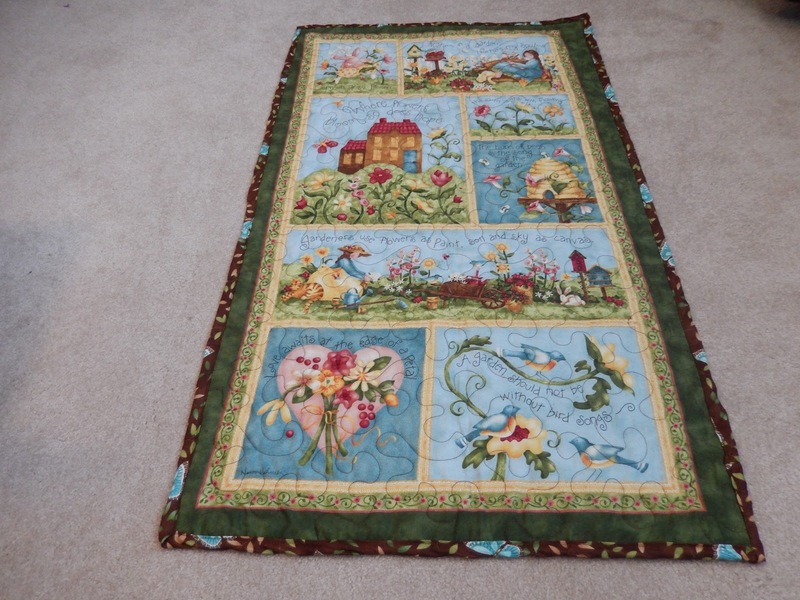 I love the garden theme and how the backing is butterflies too (pictured in my Etsy listing). Knit TR hockey sweater ~ I knit it but I still need to block and sew the zipper on. 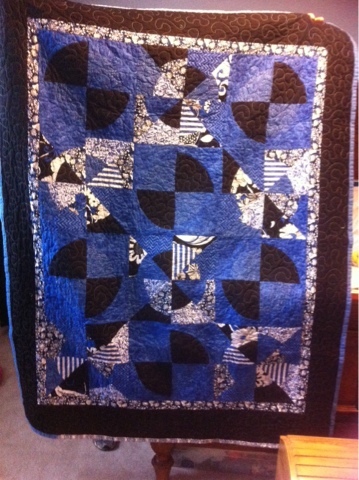 Cut, Piece & Quilt WCQG President's Challenge (60"x60"). It will also be my very first entry into a quilt show (October 2015). 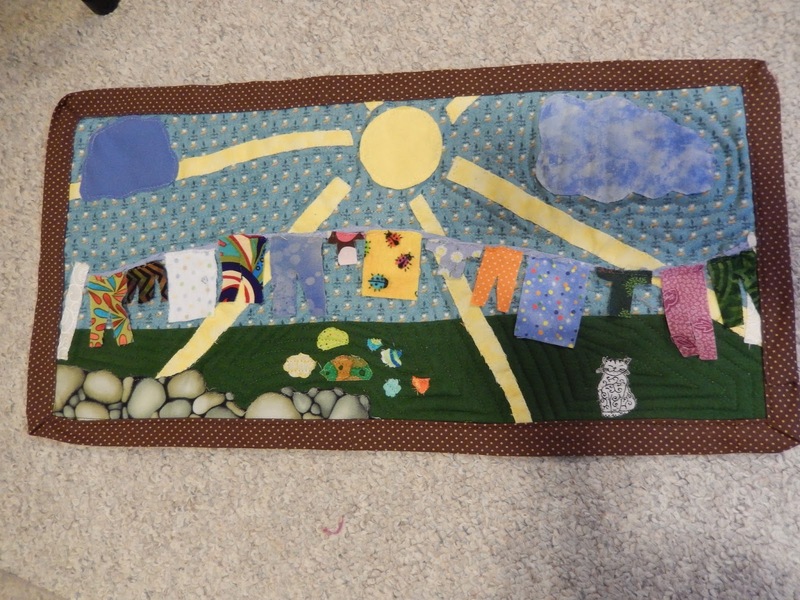 I'm totally putting this in my laundry room when I get it back! 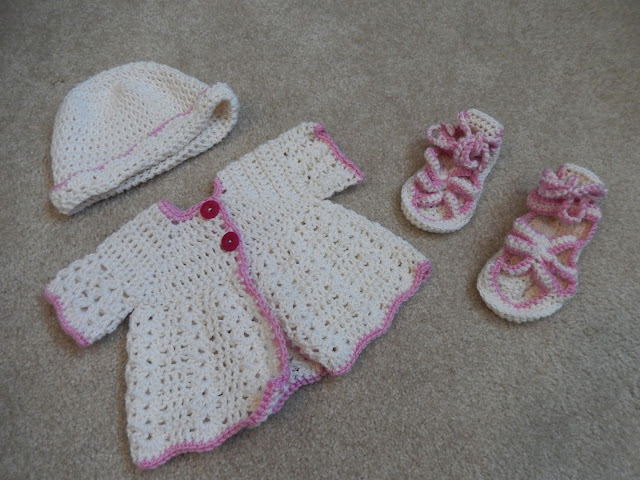 Crochet alpaca baby sandals, hat and cardigan set for client.